Start with the good stuff! 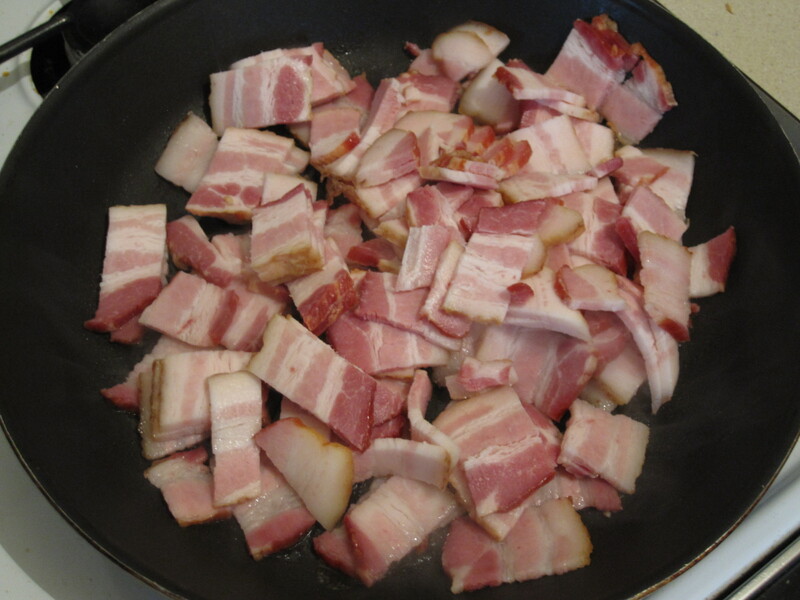 This was a pound of bacon that was cooked, drained, and set aside for a few steps. 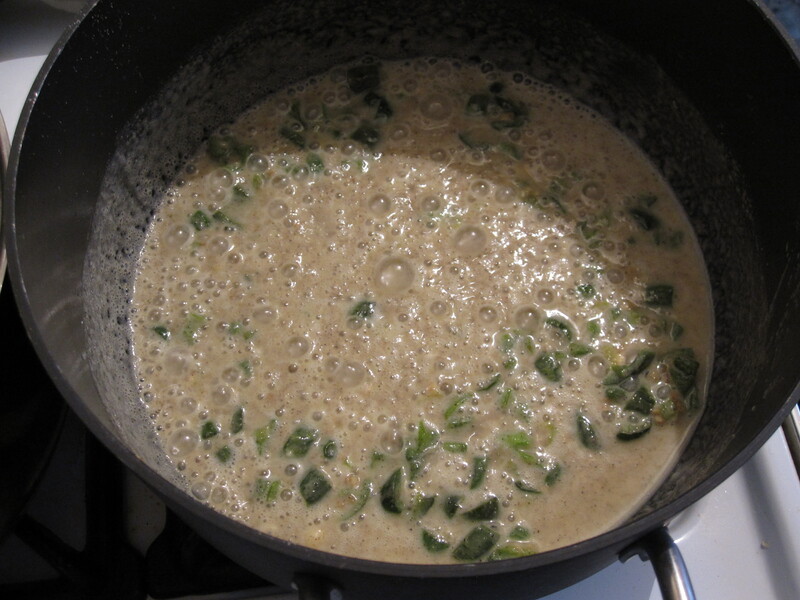 Next to start the roux. 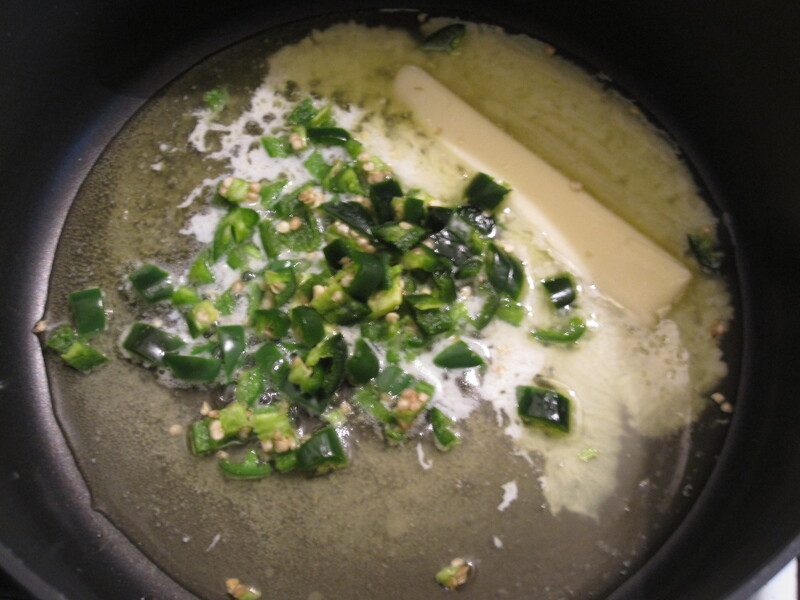 I threw the jalapenos in right at the beginning to soften them and spread their heat early and often. Around this time, start the pasta so that it will be finished at a similar point as the sauce. 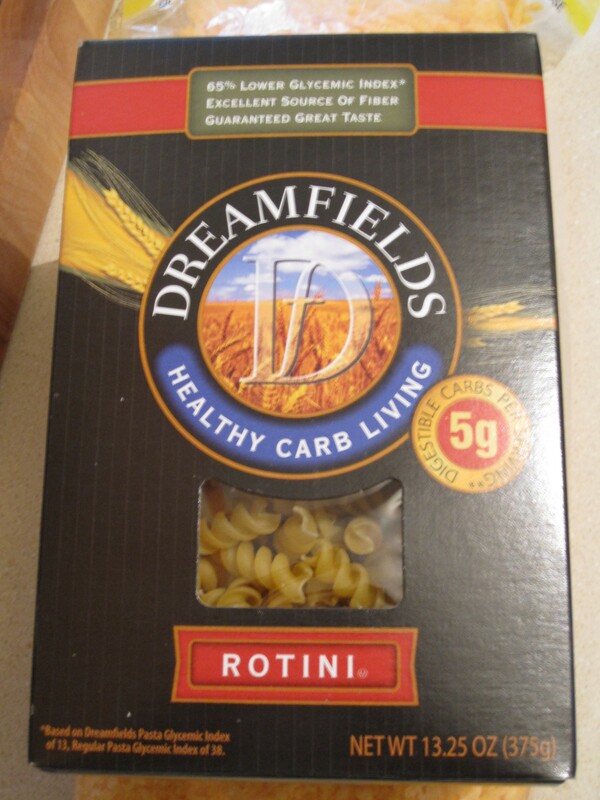 As mentioned, we used Dreamfields low carb pasta. 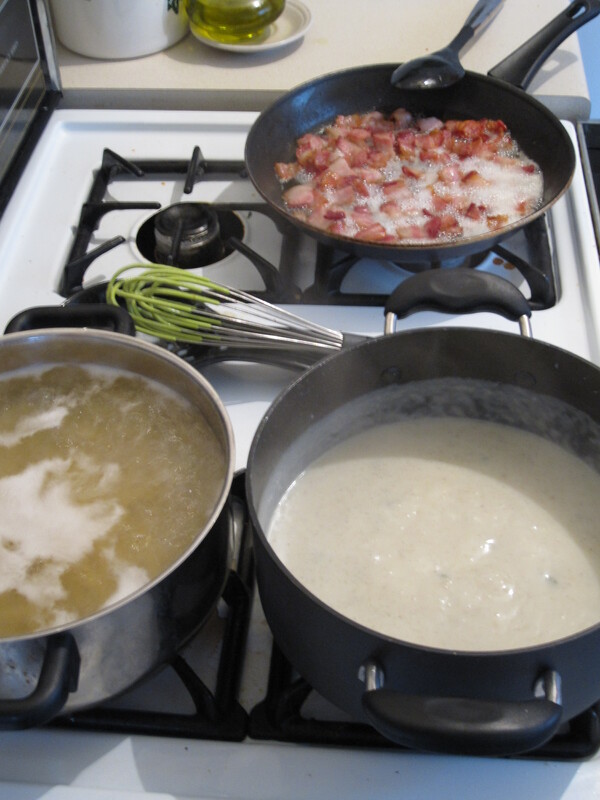 It was busy times in the kitchen as the pasta was cooking, bacon was almost done, and the milk had been added to the roux. 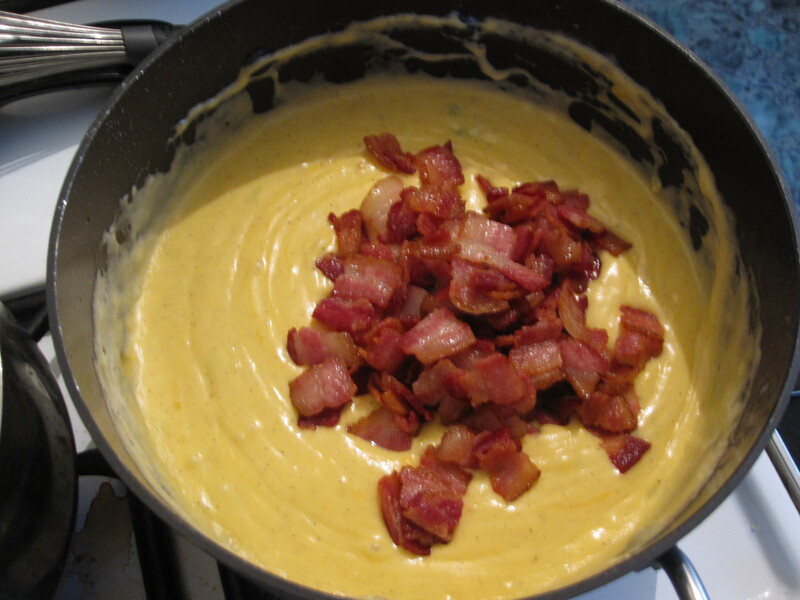 Add the bacon to the sauce mixture a bit at a time while stirring over low heat. Once the cheese is melted, turn the flame off. 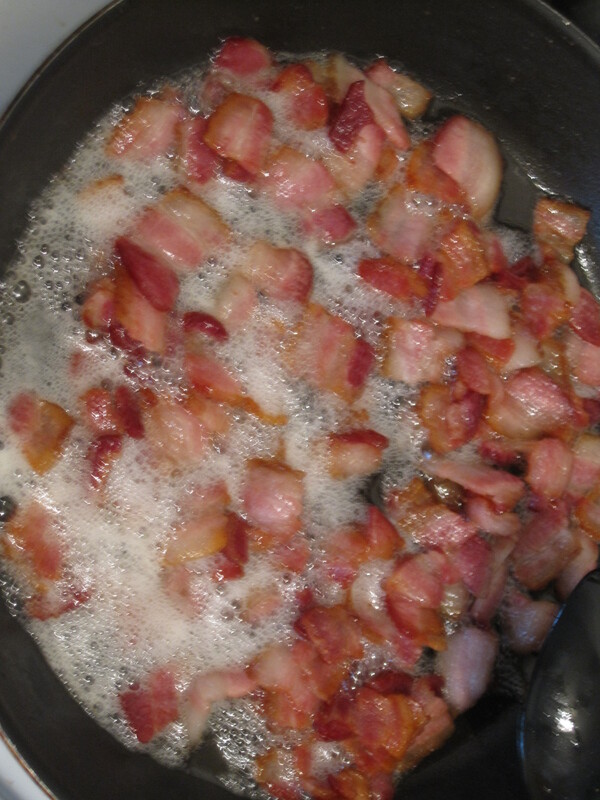 Then add the drained bacon, assuming that a few pieces have already disappeared by this point. 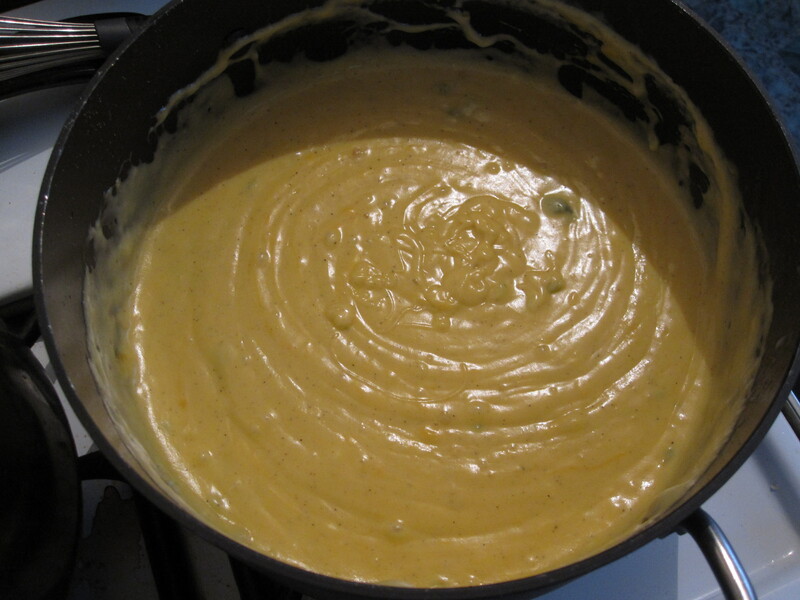 Stir in the cooked and drained noodles and then pour the whole mixture into a casserole dish. Don’t let the noodles cool too long before this point or they will turn into one big clump that will be hard to break up and stir in. 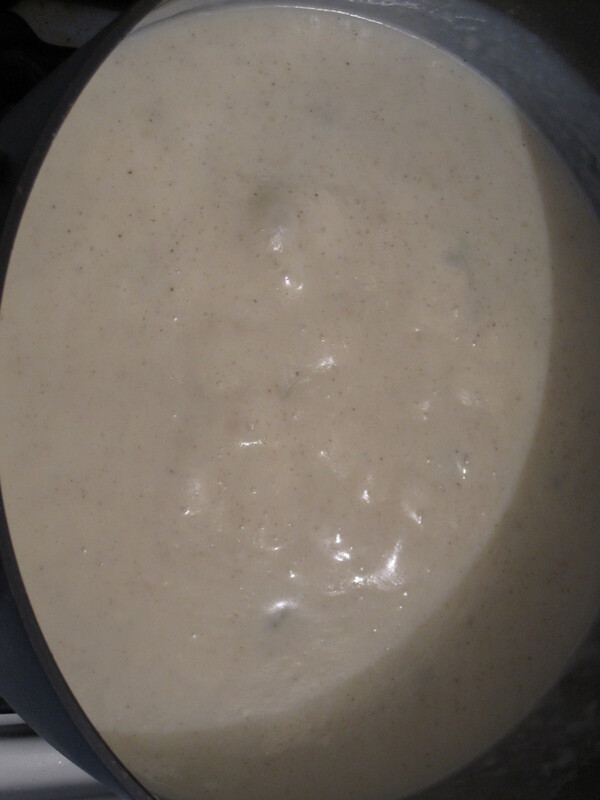 So try to plan for the sauce and noodles to be done at a similar time but err to the side of the sauce being done and waiting on low for the noodles to be ready. 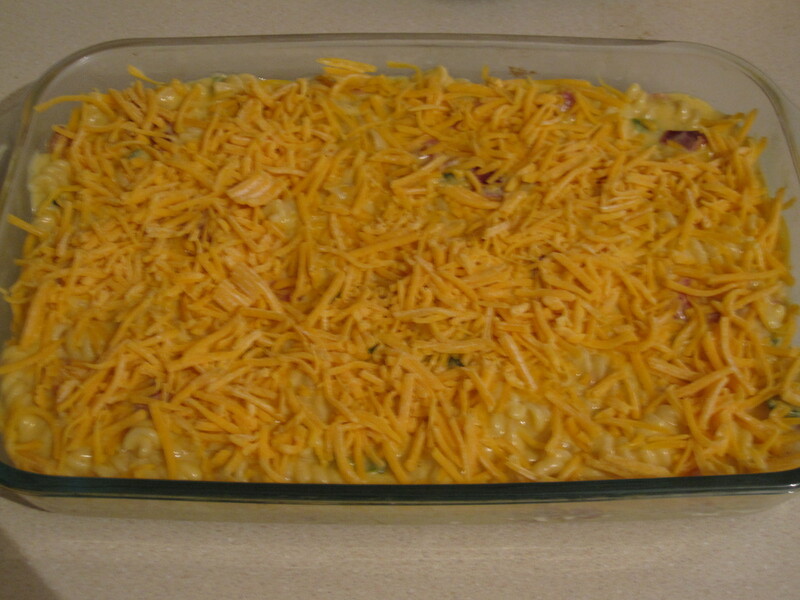 Top with some shredded cheese and either throw right in the oven or let cool, cover, and refrigerate for a day or two. 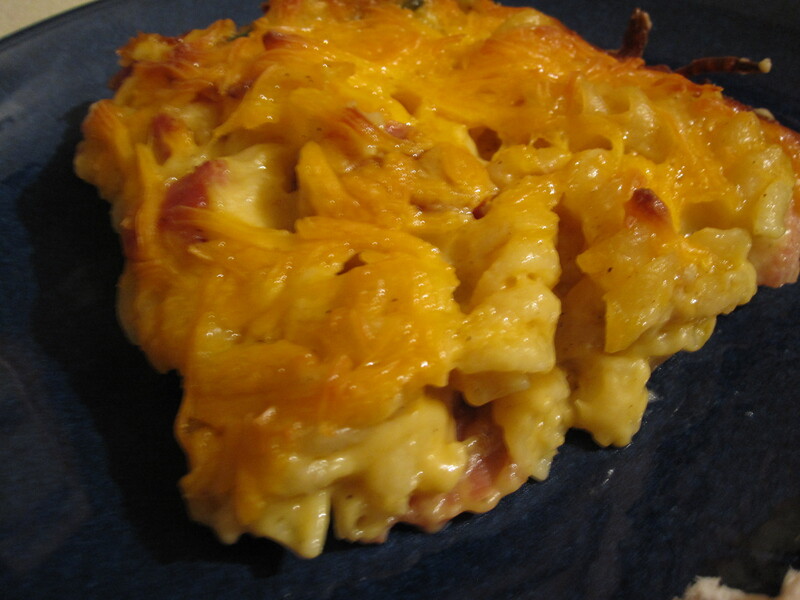 Some breadcrumbs could be added on top to make a thicker and crispier baked topping at this point too. And after a half an hour trip in a 350 degree oven. This really could be a main dish or a side. 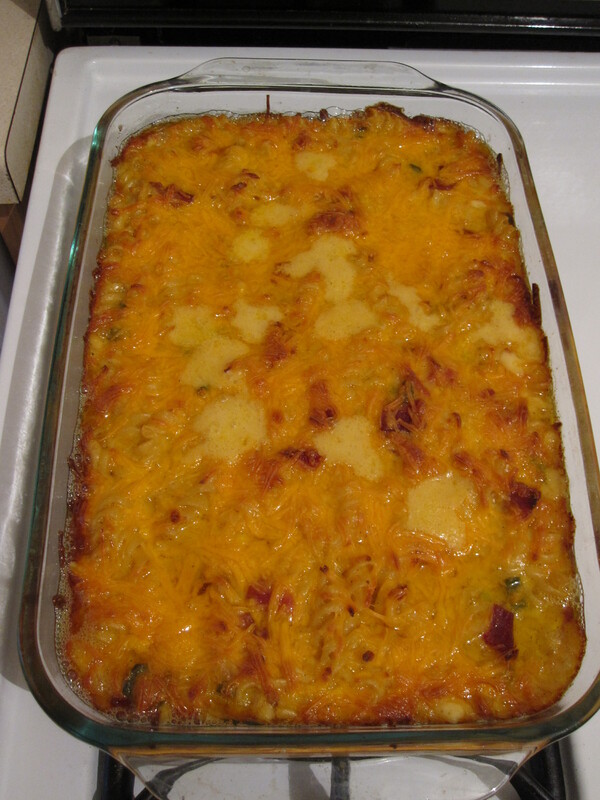 I have never received a complaint about any variation of this recipe except when it is gone! 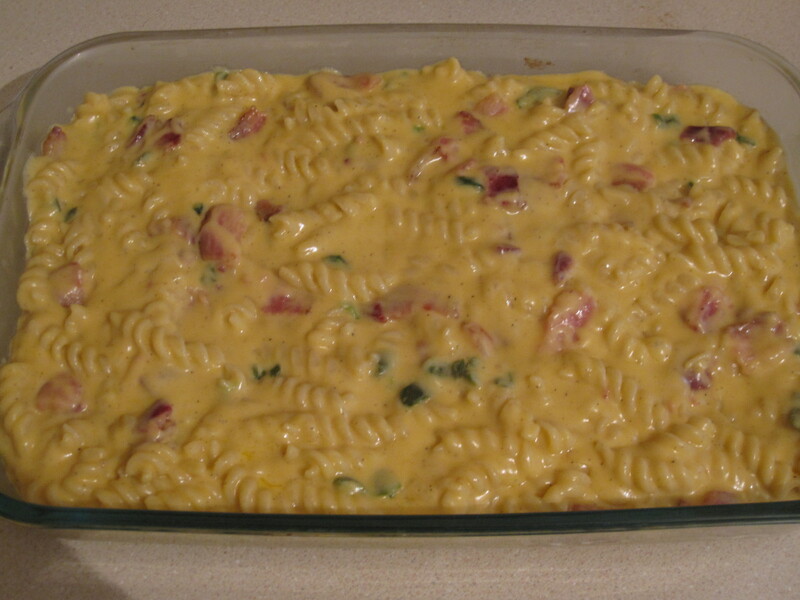 This entry was posted in Sides and tagged bacon, butter, casserole, cheddar, cheese, jalapeno, mac, mac n cheese, macaroni, pepper, rotini, salt. Bookmark the permalink.